The other day I was looking for some old software and accidentally fell into the trap of clicking on a malware web site. The web site proceeded to download a file (which I cancelled) then redirected the browser to a fake National Security Agency (NSA) site. 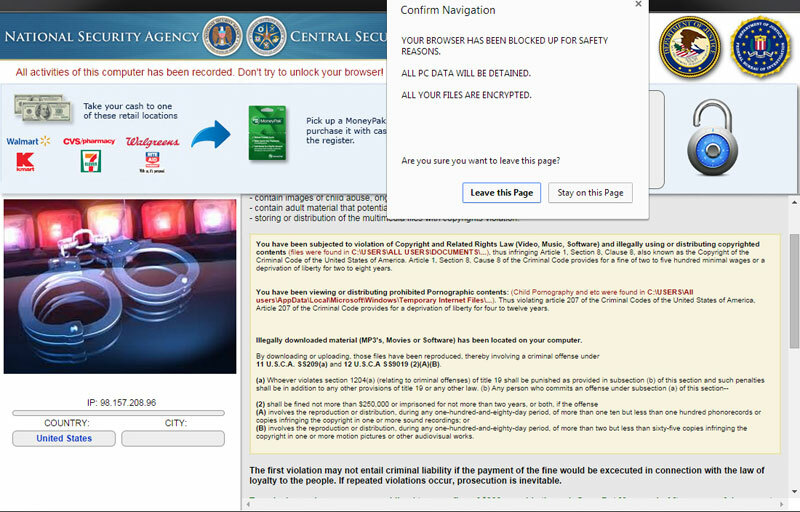 This was a malware, or rather a ransomware site, at enforcement-dymcxcci-engine.in/law_enforcement/ that said I was in danger of being prosecuted for downloading an illegal file, that my browser was now locked, and that my computer files were now being encrypted. The page also said to avoid any further action I could send the site authors $300 via Moneypak. All of which are, of course, a load of crap. 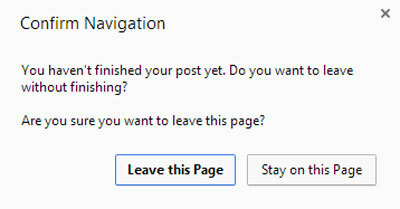 Trying to move away from the page brought up a pop-up that prevented me from doing so. Having said that, it's always worthwhile running further checks on your computer rather than your virus checker. I particularly like Malwarebytes but there are others around such as those recommended by Lifehacker and Gizmo. The trick is to be fast. You have to close that tab before the dialog box reloads. Press "Ctrl" and "W". This closes just the open browser tab. Press the "Alt" and "F4" keys to complete close the browser. In Chrome, press "Shift" and "Esc" to bring up the Chrome Task Manager and close the page from there. Press the "Ctrl", "Shift" and "Esc" keys to open Windows Task Manager and close the browser from that. There is no national or international body to report sites that should be banned. Reporting sites can get them removed from the major search engines and also, sometimes prosecuted. Google - https://www.google.com/safebrowsing/report_badware/. Report the site to Google. 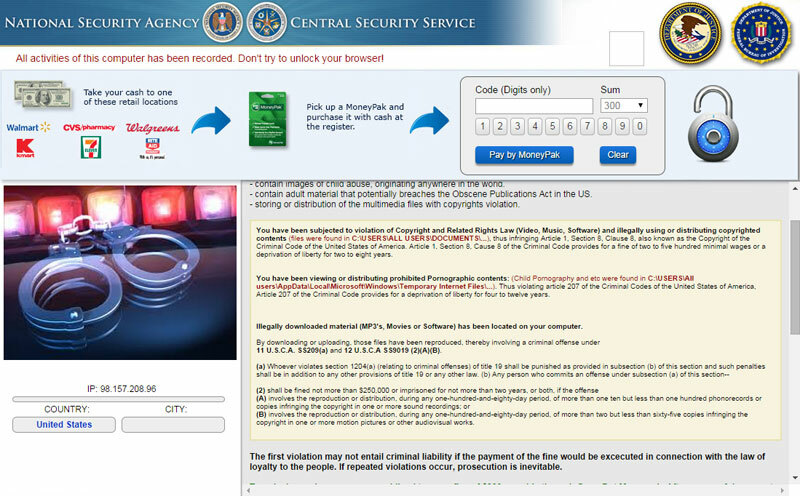 Internet Crime Complaint Center - http://www.ic3.gov/default.aspx. Reports the site to the FBI. US CERT - https://www.us-cert.gov/report-phishing/. Reports phishing sites. Microsoft - http://www.7tutorials.com/how-report-malicious-websites-internet-explorer. You are able to report malicious web sites from Internet Explorer. This site explains how. Netcraft - http://toolbar.netcraft.com/report_url. Reports phishing sites. If the site is a subdomain of a legitimate hosting company then you can go to the company's home page and usually contact the host from there. Anvisoft - Describes how to get rid of this, if it is a virus attack.